The long-awaited Forgotten Shores chapters for Monument Valley are now available on Android through the app itself, priced at $1.99 as an in-app purchase. In the newest set of levels, you will help the same young girl as before, but taking her through much different worlds. To start off, from what I experienced, it appears we are off to a land of fire and brimstone. 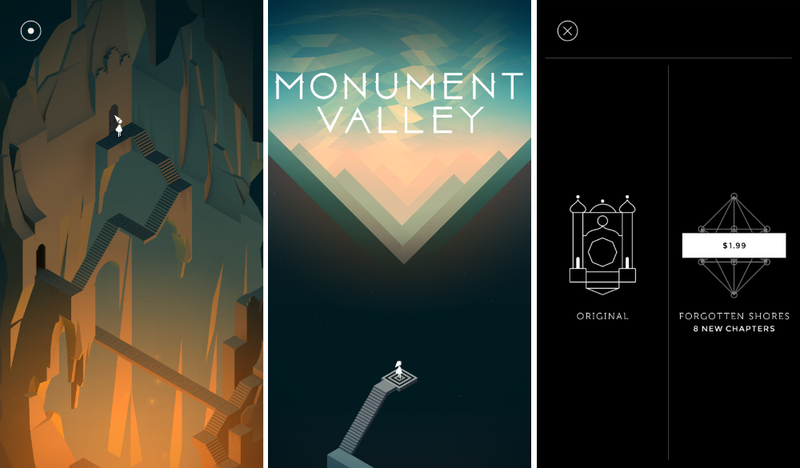 If you are unfamiliar with Monument Valley, it is a puzzler game, but set in a beautiful, wallpaper-worthy land. You twist and move objects to help your young character reach the end of a level without running directly into danger. Some feel the game is too easy, but I felt it is the perfect mix of puzzler and app to get lost in. The initial purchase for Monument Valley is $3.99, but with this IAP, your total price is about $6. For the amount of work and effort that went into this game, I think you can skip your next two lattes and check it out. Or have both, that’s what I would do.